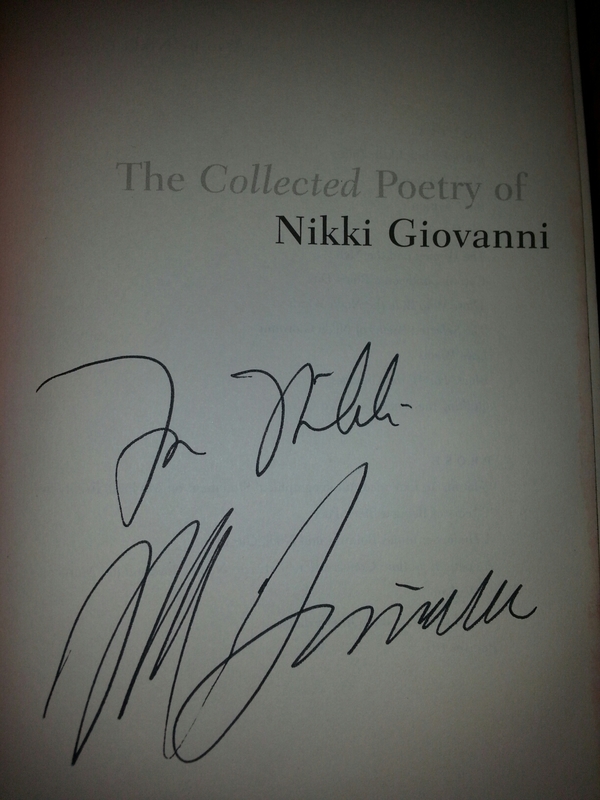 I was maybe a senior in high school when I found Giovanni through this poem at my local library. And I remember the embarrassed feeling I got after I read the poem. I thought…”who is this woman bragging on herself?” “who does she think she is to be referencing herself a Queen and being the mother to Hannibal and Noah?” I remember it felt great but it was also foreign. I almost didn’t want to be caught reading it. 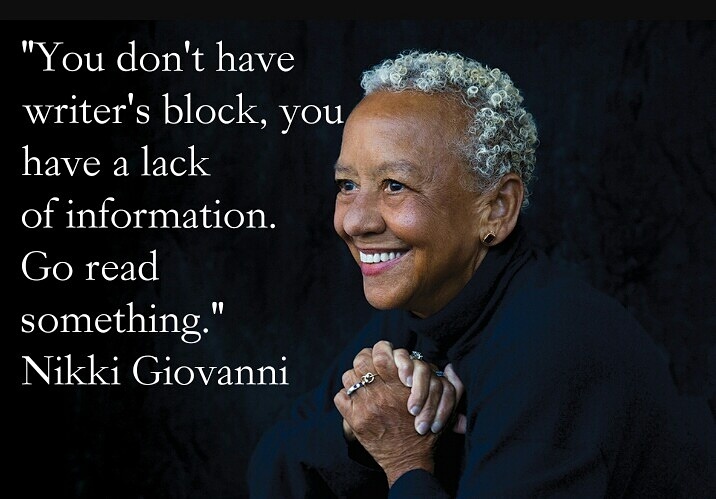 What I realize now is that may have been my first time being introduced to an African American feminine narrative. The poem wasn’t about doors or boats from Robert Frost. The poem wasn’t about hope and feathers from Emily Dickinson. It wasn’t the blues from Langston Hughes. 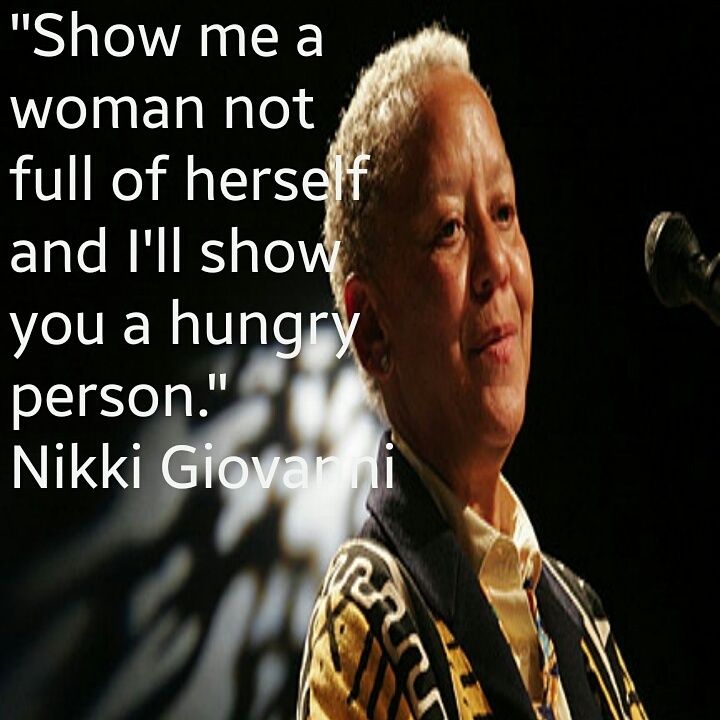 Nikki Giovanni was the first time I read an African American woman refer to herself as beautiful and being directly connected to all things beautiful in the art world of poetry. I remembering sitting on the floor in the middle of the aisle at the library and reading the poems in her book and imagining a Tennessee cloud looking like cotton candy… women being judged for the length of their Sunday school dresses… summer love… and even to this day when someone mentions her name… it makes me smile and remember meeting her in the library that afternoon. When I walked across the Pettus Bridge in Selma for the 50th anniversary earlier this year, Rev. Al Sharpton said something in a sermon that struck a cord with me. He said, “We praise our dead and condemn the living.” It made me want to acknowledge everyone that has served as inspiration to me before they left this planet! 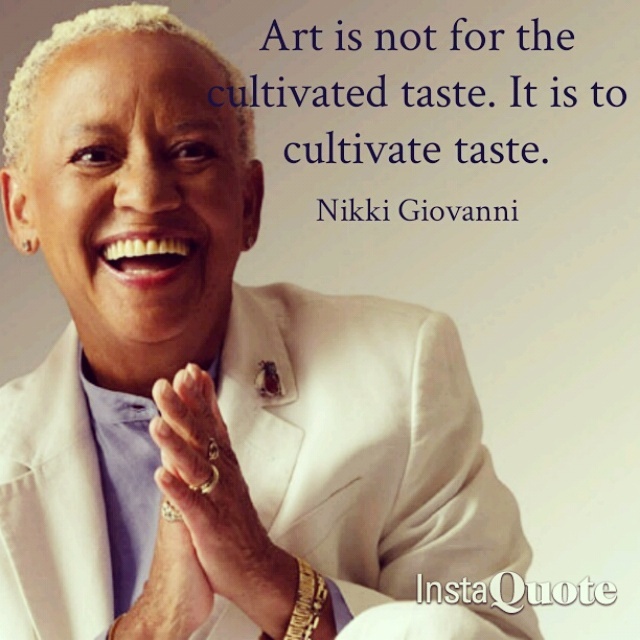 So today, I acknowledge Nikki Giovanni! 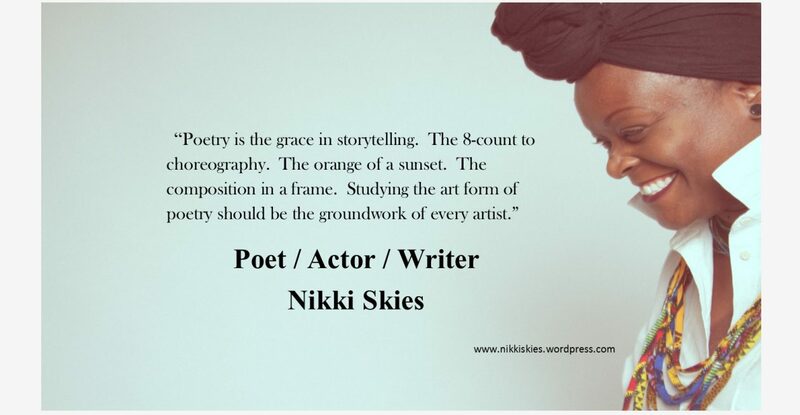 I speak her name for inspiring me and making me feel so embarrassingly, wonderful and warm about myself one afternoon at the library 🙂 The audacity of learning from poetry! My Favorite Quote, for you now!